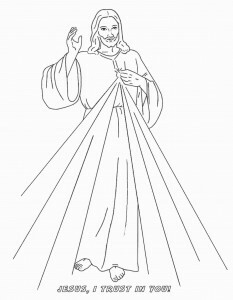 My husband and I have a special devotion to the Divine Mercy. 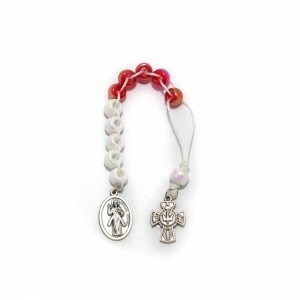 I just love praying this chaplet. I try to pray it every day. The thought of our Lord showering all His grace, love and mercy on me and the whole world is just so beautiful and amazing. I love praying this prayer each evening with my children when they are little as I nurse them and then nightly as they transition to a big kid bed and then to help settle them as they grow into their preschool years. It is just a devotion I love. It is simple and easy to learn my kids have learned the chaplet and its prayers at a young age. It seems easier to memorize then the rosary and requires less time so it is easier for them to pray it. 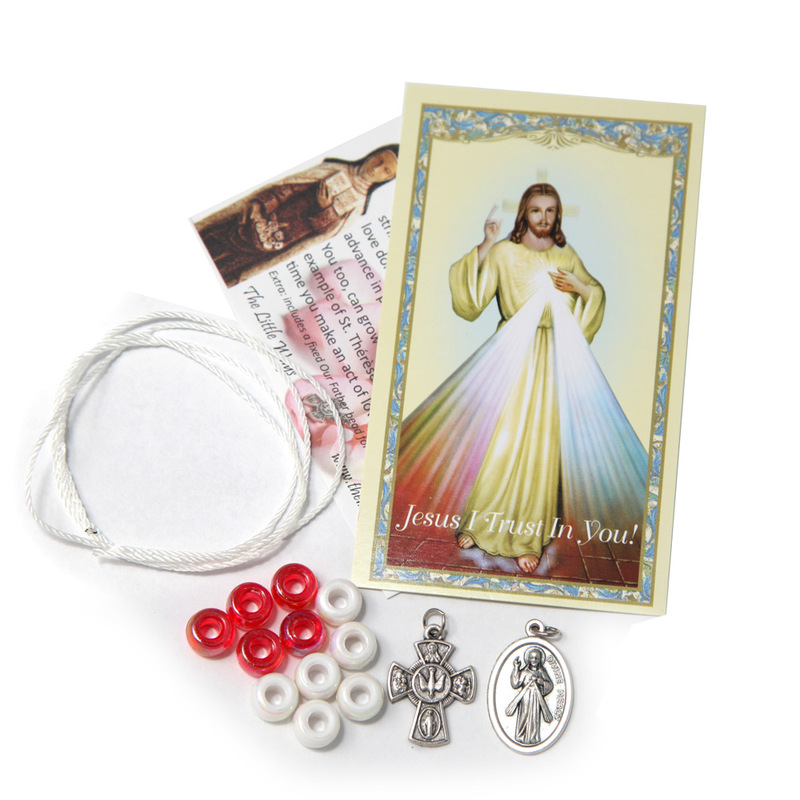 “Say unceasingly this chaplet that I have taught you. Anyone who says it will receive great Mercy at the hour of death. Priests will recommend it to sinners as the last hope. Even the most hardened sinner, if he recites this Chaplet even once, will receive grace from My Infinite Mercy. I want the whole world to know My Infinite Mercy. When my daughter was preparing for her Holy First Communion we would go on Mother-Daughter dates and work on making her scrapbook. We would create pages together after each lesson, to help reinforce her learning as we went along. After we had gone through her preparation, we started to add pages with prayers and devotions. 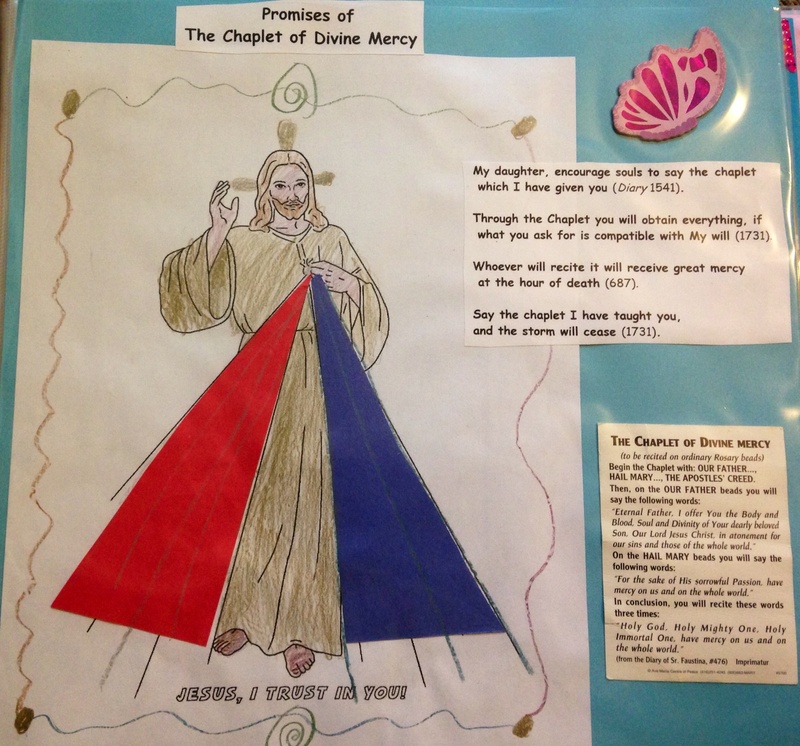 I had created this simple Divine Mercy craft when I was helping to teach a three and four year old catechism class. So we decided to incorporate it into her scrapbook too. Step 2 – Cut out a red and a blue triangle. Helpful tip-First cut out the red triangle and then trace it on the blue paper so that they come out the same size. Step 3 – Glue the Red Triangle on to Jesus’ Right and the Blue Triangle on to Jesus’ Left side. 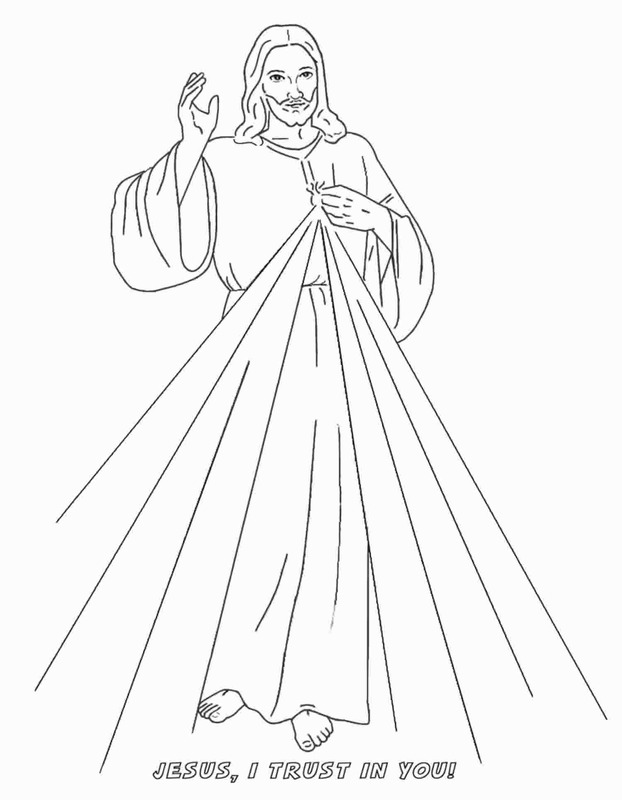 There is also a great Divine Mercy word search and other colouring pages available at the Oblates of Divine Mercy’s website. I love your ideas! Thank you for sharing them. I just thought you may want to change the blue rays to white rays. From what I have read the rays were red and white, for Jesus blood and water which came from his heart on the cross.